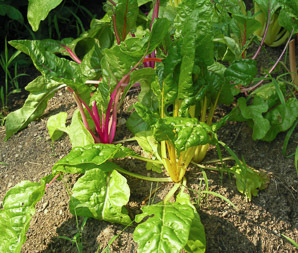 Beta vulgaris L. var. cicla L.
Chard is often called Swiss chard to distinguish it from French spinach varieties. 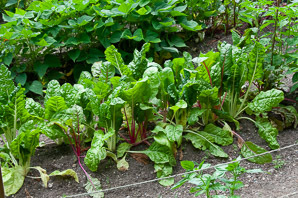 It is closely related to beets, and a popular and productive garden vegetable. Steamed with a little rice vinegar, it is one of my favorite vegetables, producing all summer long. 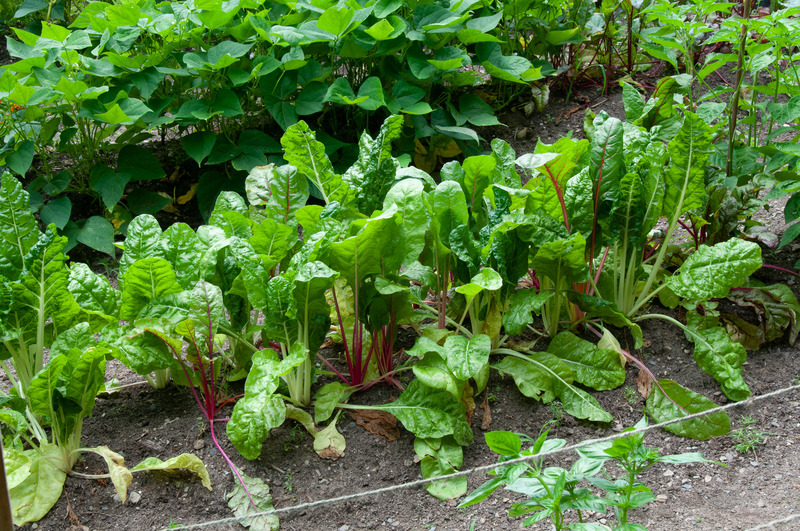 Identification: Chard is a group of cultivars that are not found in the wild. 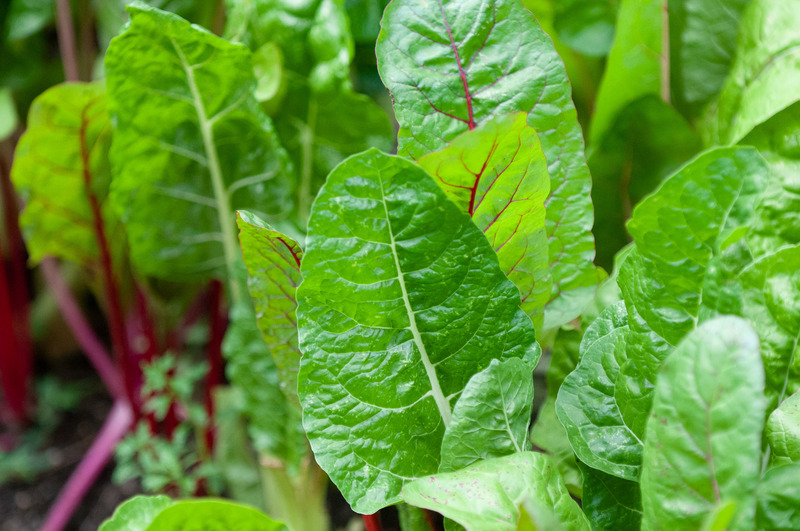 Leaves are shiny, wrinkly (like spinach), with red or green ribs and more recently available in many colors (“rainbow chard”). Plants are 12-18" (30-45 cm) high. 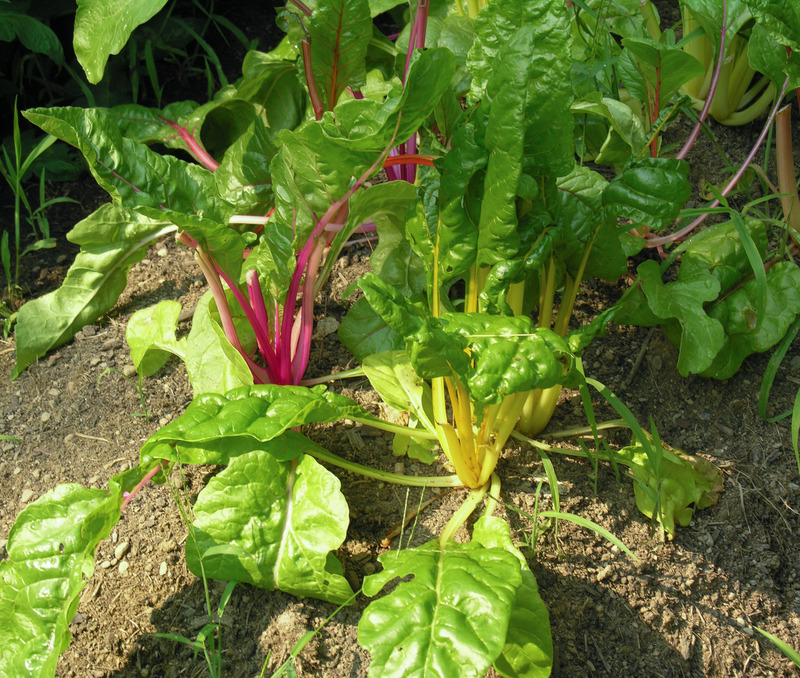 Beta vulgaris ssp. cicla description by Thomas H. Kent, last updated 2 Jan 2019.